March 12, 2012 July 31, 2014 / Julie Brook, Esq. The contract binding you and your client is the fee agreement. This is not the time for simple boilerplate and formulaic thinking: Draft your fee agreements with care and attention to the particular case at hand. As a general rule, attorney and client may contractually agree to the measure and mode of an attorney’s compensation. CCP §1021. Although statutes, case law, and rules of professional conduct may put some substantial limits on fee agreements, they are nonetheless contracts. 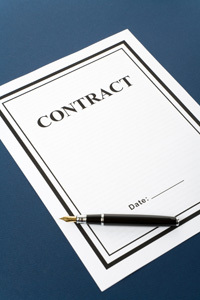 Many attorneys prefer to set out their fee agreements in numbered paragraphs. Some attorneys prefer to draft their agreements in a letter that the client signs to indicate his or her assent to its terms. Whichever method you choose to use, make sure your fee agreement is in writing, even if a preexisting attorney-client relationship exists. In selecting what provisions to use in a fee agreement, consider the client’s perspective as well as your own. Including a lot of the applicable provisions in the agreement will give the client valuable information and protect against many possible future problems or misunderstandings between you and your client. But don’t make it too long and involved. A lengthy document may be intimidating or even overwhelming to the client and make him or her distrustful of you. The proper balance depends on the particular substantive issues involved in the representation, your earlier experience with the client, the psychological factors involved, the complexity of the matter, and the client’s sophistication. A client’s reaction to a fee agreement is likely to depend more on its content and the manner in which it is presented than on its form. To the extent practicable, draft the agreement in basic, nontechnical language and explain its purpose and effect in a pleasant and understandable manner. Hourly fee. The attorney and client agree that the client will pay the attorney a particular amount for each hour of legal services rendered under the agreement. Contingent fee. The attorney and client agree that the attorney will receive a particular percentage of the client’s recovery or of the savings obtained for the client as a fee for legal services, if there is a recovery. Hybrid. A hybrid of the hourly and the contingent fee. Fixed or flat fee. The attorney receives a fixed amount for the performance of a particular service, e.g., obtaining a judgment of dissolution. Fee based on results. The attorney and client agree that the attorney will be paid at a certain hourly rate for legal services, but that if a particular result is achieved, the attorney will receive an extra amount. True retainer. A “true” or “classic” retainer agreement secures the attorney’s availability to perform services for a particular period and the attorney’s fee is earned when paid. As you draft your fee agreement, keep in mind the rule that applies to all contracts: The fee agreement’s provisions are interpreted strictly against the drafter, i.e., the attorney, and any ambiguity is resolved in favor of the client. Now that you understand the importance of the fee agreement and the general idea of drafting one, turn to CEB’s Fee Agreement Forms Manual for sample fee agreement provisions and commentary. 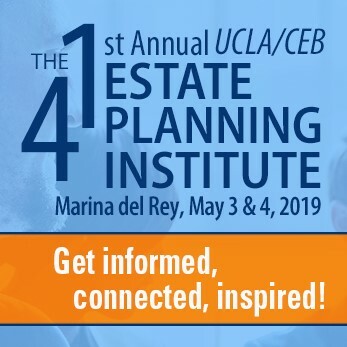 Also check out CEB’s California Client Communications Manual: Sample Letters and Forms, with a chapter on attorney-client fee agreements that contains many sample forms.